Very fast setting. 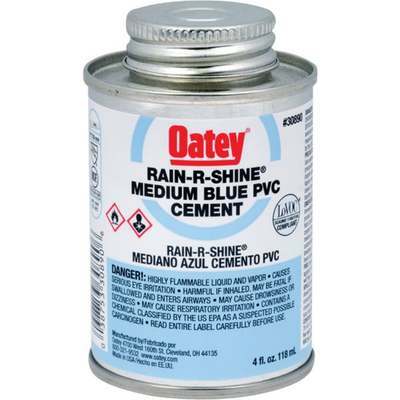 Blue PVC cement formulated for wet conditions and/or when quick pressurization is needed. To use, remove water and moisture from joints and fittings-use a primer. When curing time is not available, Rain R' Shine is the product to use. 1/2 pint PVC Rain R' Shine. NSF and UPC listed. Exceeds ASTM D-2564.